Bounce rate, visitor’s engagement and backlinks directly affect your blog’s Alexa ranking. No matter your traffic, a high bounce rate means people are not getting the information they are looking for in your blog. 40% of readers may not read beyond this line. Wow, if you are still following, chances are that you will be one of the 50% who will follow the first “Related Post” link on this post. The greater the percentage of people who following link on your post to another page on your blog, the lower your bounce rate. 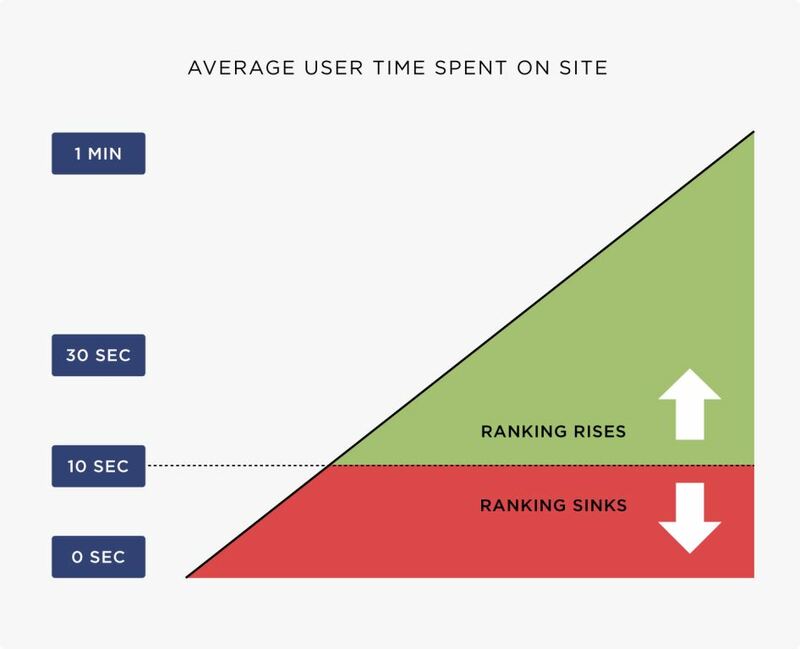 That is basically how Bounce rate works. If you want reduced bounce rate and higher rankings, you NEED to keep people on your site. 1. Insert visible relevant “Related Post” links. 60% of visitors do click through a catchy related post link. Even those that may not be interesting in the first post will click on the related post if positioned within view. For instance, you may also be interested in our previous article on "How to improve your blog Domain Authority overnight". Solution: Make sure your “Read Also” is very visible. Use the “more information” or Anchor Text method to hook in the visitor to go to the next page with information related or in the same category as the landing post. Search Keywords on the dashboard provides valuable information about what a visitor typed in the search engine’s search box to land on your page, if you see a search question that your blog doesn’t have an answer, that means that the visitor has already bounce off. Solution: Locate the landing page for the search query, edit and answer the question and then update the post. For your blog to show on SERP for the query means, your blog is already ranked for that keyword, make another post on the subject matter and link back from the original post to reduce bounce rate. Example: I did a post on NPower Application 2017 and it ranked well, almost a month later, I saw this on the search keywords "NPower Test”, that means someone was searching and that particular information was not on the post. I had to make a choice between updating the particular post to include the test date information or to make a new post and link back to the original post. Don’t be tempted to use misleading title for traffic, the traffic might come for the time but as 90% of the visitors exit your blog within 10 secs, it hurts your blog SEO. Such high bounce rate forces Google to derank your blog from index. Solution: Use a catchy title BUT always make sure that the information in the title is also in the body. 80% of visitors exit after reading the first 2 lines, if you lose them in the first paragraph, you ain’t getting them back. Solution: Make the first paragraph readable. Answer the query on the title within the first 60 words and make the visitor scroll down for more. Eye-Catchers are words and phrases that keep people on your page. If you put your link about “Reducing Bounce Rate” on a Facebook group for celebrities, maybe the catchy title might make some to click through but after glancing through the first line without anything of (his) interest, the visitor will use the back button. Solution: Share your post about celebrities in entertainment group and post about blogging or technology in the relevant group on the social media. A low bounce rate means to search engines that your blog has the relevant information required. This makes your blog rank more on similar post and ultimately improve your domain authority. 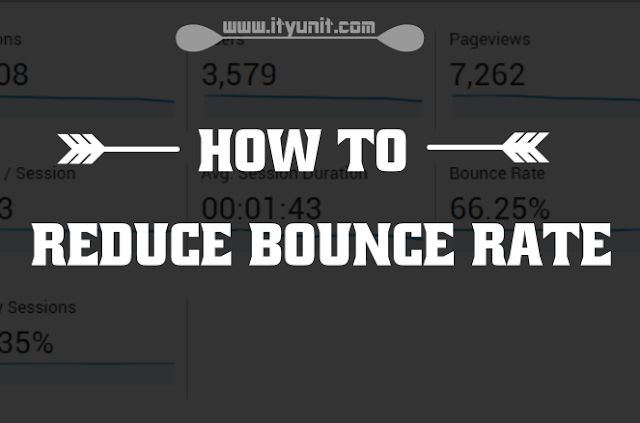 Nice article Bro, i Think i have to follow this steps so i can reduce my bounce rate. Well said Bro.. Alot here makes sense to put to proper use.